Polynesian Pineapple Chicken Casserole is a delicious Polynesian food. It's a quick and easy dish my family loves. I love the sweet and sour of this dish. It's a great change of pace. The pineapple, peppers and rice are a great meal with this Polynesian flair! The first time I ever had this delicious pineapple chicken was in Hawaii. My first time for Polynesian food. A few years back my husband and I took a trip to Hawaii. We had a delicious tropical Polynesian meal with pineapple baked in a casserole with chicken. What amazing flavors in this casserole. Peppers, a little sweetness and chicken that was so tender it just fell apart. It was nice change of flavors from what we were use to eating all Italian food everyday. The beautiful restaurant was in Maui and such a pretty settings. There were fresh gardenia's on every table and the ladies all received a leis when they were seated They made you feel so welcome and at home. As you ate they even had a live show of Hawaiian dancers that was the perfect tropical paradise. I really loved how the chicken seemed to be slowed cooked in a rich sweet sauce, I had to ask the waiter to find out the ingredients from the cooks in their kitchen. When I went home from vacation the first thing I did was try and recreate this dish. As I started to add things here and there and tweak the recipe, I finally got the right consistency and flavors came together perfectly. The whole family loves this dish and I make it often. Some great memories were made in Hawaii, this dish of chicken with pineapple, really stood out in my mind. I really love how the flavors in this baked chicken with the added sweetness of pineapple gave me a warm tropical Island feeling. A delicious taste that lingered long after it was eaten in perfect memory of the Hawaiian Islands. In my opinion, this Polynesian pineapple chicken casserole, is a cross between Asian flavors and Polynesian. I like a sweet and then the rice vinegar give it a little tang. The soy sauce also gives it that Asian flair. The chicken comes out delicious with those balanced flavors. I have also used boneless chicken breasts. I really do think bone in thighs work the best with this recipe. Either way this over white rice is a great meal. I even decided to try and grown my own pineapple plants in pots. They were so easy. 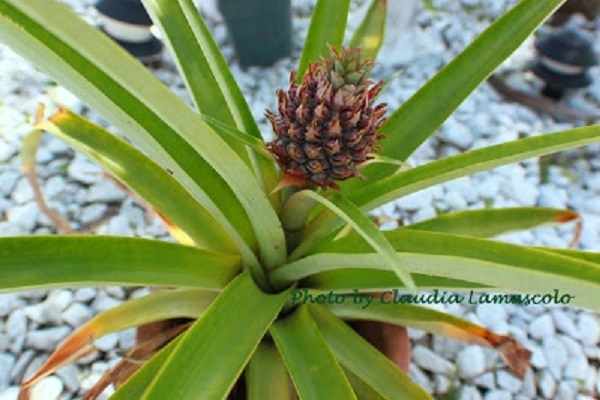 The brilliance of flavor was fabulous and now I have over 12 plants just by saving the tops of each pineapple I buy! Our Hawaii trip was the trip of a lifetime for us, I try and savor the moments by recreating everything I loved about it. The pineapple plantations in Maui was one of my favorite attractions. Heat the oil and brown chicken on both sides on low heat, season with salt and pepper, cayenne if using. Remove chicken and place in a oil sprayed casserole dish. In another medium size bowl, blend together the melted butter, soy sauce and rice wine vinegar. Add the pineapple juice, brown sugar, garlic, broth, stir to combine. Pour over the chicken. Place the sliced peppers and pineapple on top and bake at 350 preheated over for 25 minutes covered. Remove cover and bake until chicken is fork tender around 15 to 20 more minutes. If you want a thicker sauce add more cornstarch for thinner add more pineapple juice. Mmm, this casserole looks tasty. Love using pineapple in cooking, the sweet and savory combo is simply delicious! This looks so delicious, love the addition of pineapple! Love the sweet and savory combination here. And seems really easy to make too! 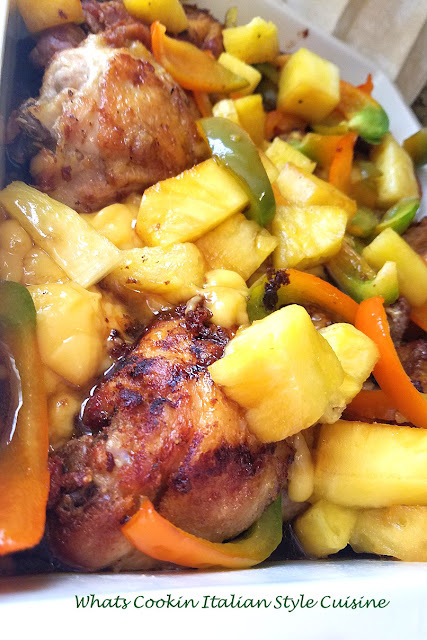 This looks so delicious, I love sweet and sour flavors with chicken and pineapple pairs wonderfully. Had no idea growing pineapple was so easy, thanks for the tip! Pineapple and chicken is one of my favorite combinations. The casserole looks absolutely delicious! I love the combo of pineapple and chicken. The casserole looks so tasty! I love the combination of sweet and savory. Looks like a tasty meal! I always love the combination of sweet & savory flavors together. And this sounds like an easy meal to prepare perfect for any occasion. 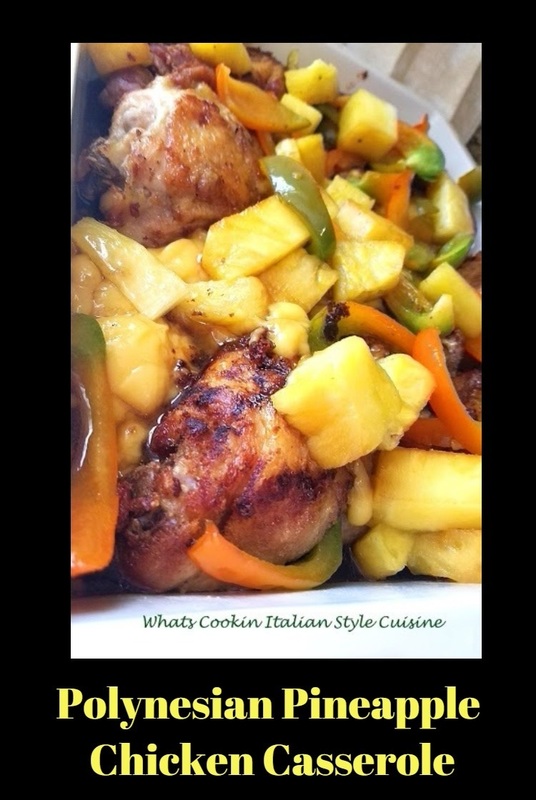 Pineapple and chicken go so well together - love them combined like this in a simple, crowd-pleasing dish! Oh wow! This chicken casserole looks mouthwatering! I love pineapple with chicken. Pinning this to try soon, thanks! Pineapple chicken looks delicious, I love that you even grown your own pineapple. Sweetness of pineapple goes well with soysauce and chicken yummy meal. I love sweet and sour flavours together! This chicken casserole looks so delicious! Thank you for sharing. mmm it looks so appetizing. This is a great idea for dinner for me and my family. We adore the chicken. I definitely want to try your recipe, and I'm sure it's very tasty. Thank you for sharing this great recipe, I think this casserole will be one of my favorites. Yum! I love pineapple with chicken! This sounds really tasty, I'm not surprised it's a family favourite. This chicken sounds fabulous, Claudia! I'm always looking for new chicken recipes to try and this is a winner! Yes! This is what I have been looking for. The sweet and sour taste just open up my appetite for more. What a great flavor combination -- chicken and pineapple. The pineapple actually helps to cook and tenderize the chicken. We eats lots of chicken and this recipe is just a bit different than how we normally prepare it. Will be a welcome change.